Every once in a while, one stumbles onto a book that one feels desperately needed writing but which one thought didn’t yet exist. 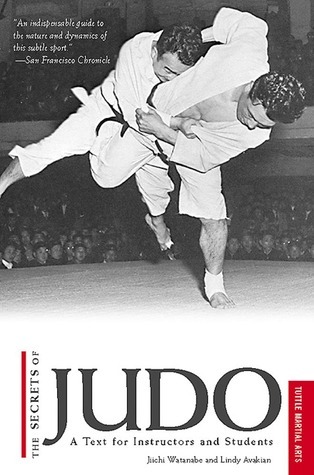 In the case of The Secrets of Judo, the book has been around for almost 60 years. First off, a more telling title for this book would be “The Science of Judo” or “The Physics of Judo.” It’s not a book that deals in arcane knowledge, as its title might suggest, but rather applies science to the skills of throwing, pinning, and submitting seen in judo. While there’s a brief discussion of the nervous system as it pertains to reaction times, the bulk of the book is classic mechanics applied to judo techniques. The first six chapters (which constitute a little over half the book) provide a background of the relevant principles of both physics (e.g. force, momentum, and center of gravity) and judo (e.g. kuzushi [unbalancing], seiryoken zenyo [maximum efficiency], and ukemi [breakfalls].) The last two chapters provide explanations of how forces are applied to achieve successful throws (ch. 7) and grappling techniques—i.e. pins, chokes, and locks (ch. 8. )I found this book to be invaluable and would recommend it for anyone who’s interested in grappling arts generally (whether judo or not) or even the science of human movement. The writing is clear. There are some mathematical equations, but just the algebraic formulas seen in basic physics. The graphics (mostly line drawings with a few photos) are useful, especially the drawings of the sequences of techniques which have letter labeled arrows to clarify the lines of force. I should note that I read the original (1960) edition. Tuttle put out a 2011 edition that is probably what you will get--unless you stumble onto a copy in the used bookstore as I did. From a quick glance at the table of contents of the new edition, it doesn’t look like a major change and I suspect the new edition is at least as good. The emphasis of this book is on the physics of throws and grappling.